Welcome back to everyone after the holiday break! This has been a remarkably busy month, as you will see below. A number of things to celebrate, and many things coming up as well. 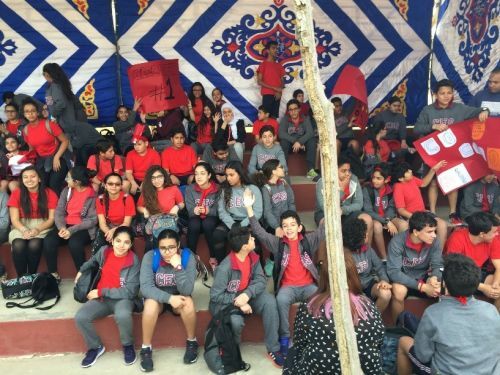 In our previous newsletter, we mentioned IB1 student Khaled Khalifa who gave an excellent TED talk at the TEDx-Youth @the Nile event in December. 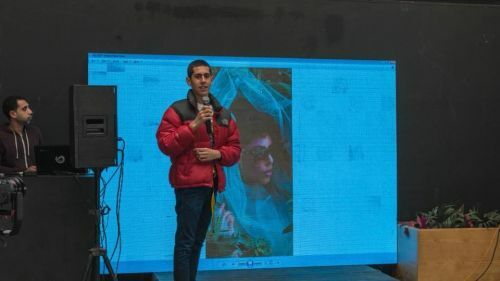 This month, Khaled applied to be a part of EXHIVITION, a fashion competition organised by IEA (who arrange scholarships and internships for students). 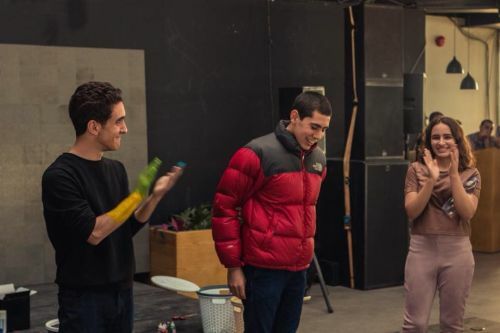 The First Round of the completion put Khaled into one of four groups, and gave each group 1 ½ hours to use unconventional items to make a fashion editorial. 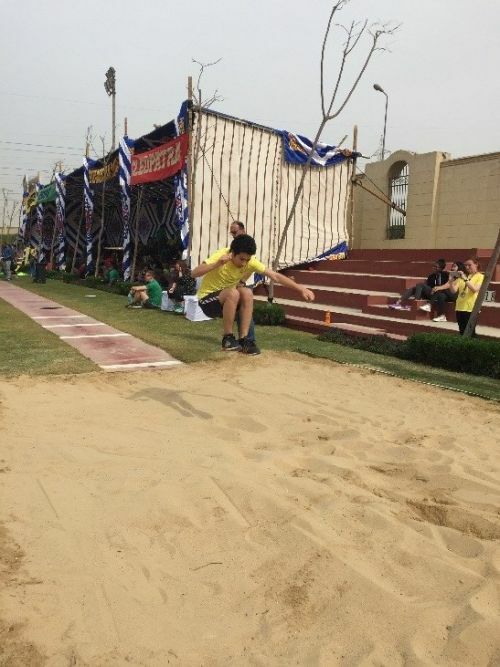 Khaled's group won, so he advanced to the individual competition, where he had to create something in 15 minutes! He decided to use his theatrical makeup experience to create 'Comme de gar-femme', an installation showing that men with feminine characteristics are considered trash. 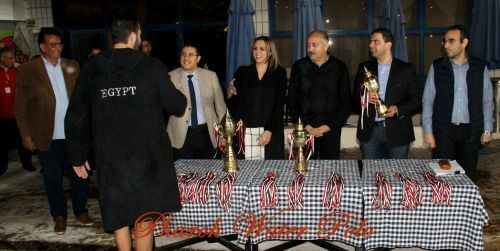 Khaled won the competition out of 24 people overall, and thus he has been given a 3-month scholarship to study in Italy during summer. The universities represented were Accademia Italiana and Marangoni. 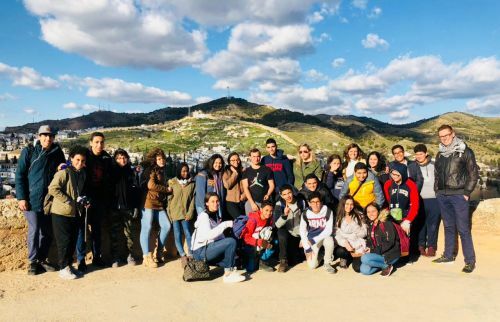 Spain Trip: In February a group of Year 9's and 10's got to travel to Spain. We were very lucky with the weather and didn't have to use an umbrella once- very unusual for Europe! Our first stop was Madrid where we stayed in a lovely hipster hostel central to the famous 'Puerto Del Sol' that is full of street performers. Students experienced the wonderful Reina Sofia and their first Flamenco; which was very impressive on a traditional stage as well as some lovely traditional paella. Second day was the biggest flea market in Europe, which I don't think anyone saw all of, it was so big! We got to watch the sun go down on top of the Faro de Moncloa Viewing Tower which was a great opportunity for some social media worthy snaps! To finish off in Madrid of course we had to pay a visit to Bernabeu Stadium and get some photos with Bale and Ronaldo. Next we headed down south to Cordaba- the ancient capital of the old Islamic Empire to see a Cathedral and a Mosque in one! 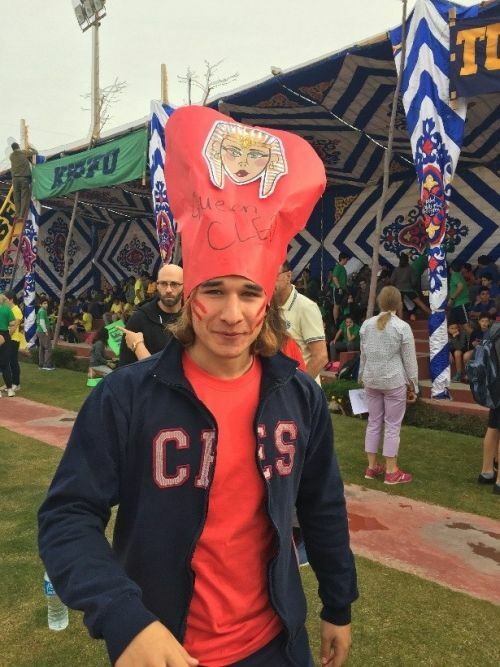 The students had lots of free time in the quaint city and got a real taste for how the locals lived. 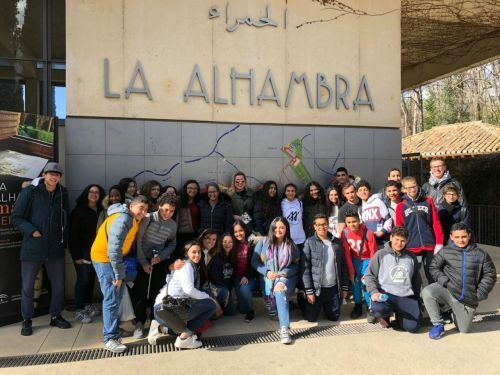 Next stop Granada for a visit to the Alhamra Palace surrounded by beautiful gardens and views. The area was so big we kept getting lost but it didn't matter! Last day was a visit to the beach and a scenic drive through the snow-capped mountains, breath-taking! Despite all this we learned what a CES student really values: Starbucks, a vending machine, Wifi, and a mall! 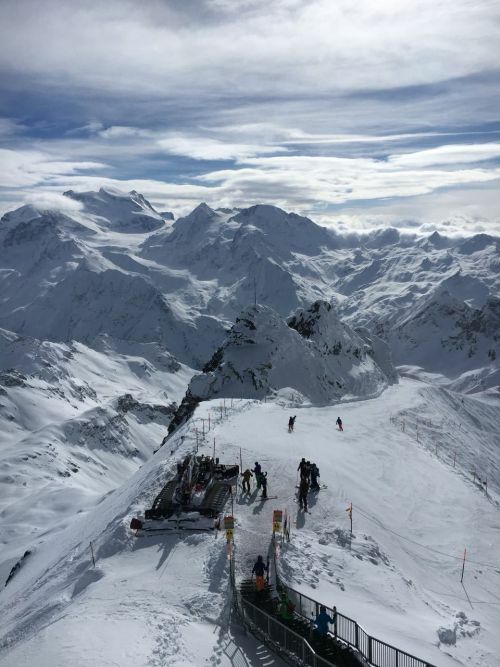 Ski Trip: The annual school Ski Trip with Les Elfes was another success this year, with a number of students trying something new they had never done before! 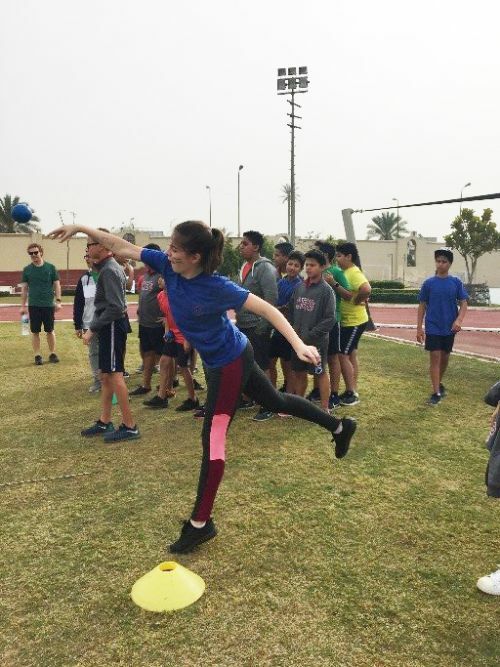 Arranged by Mr Dean, the students in advance had to do exercises to prepare, and they had to endure the cold and snow in order to have a lot of fun! 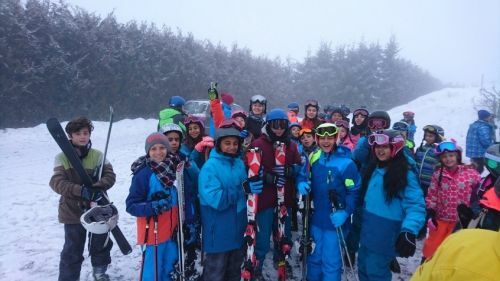 Many students were beginners, but some moved to the blue slopes by the second day – an excellent achievement. In the evenings, they walked through the forest using torchlight, played games like football and badminton (even against other schools! ), and had a disco on the last night. Well done to the students for their excellent participation, and for their good behaviour. 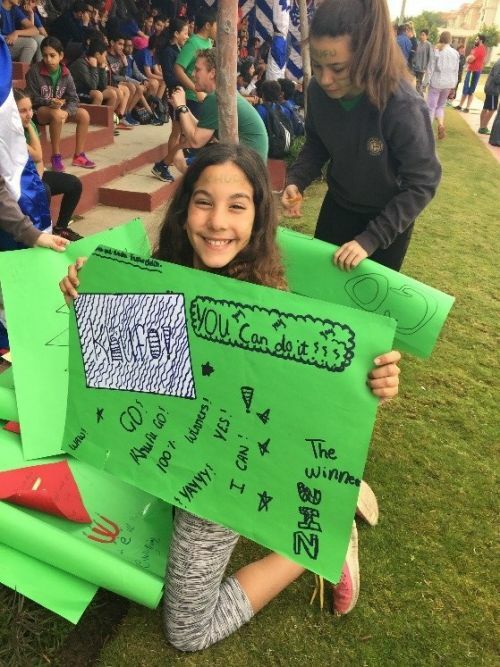 Sports Day! 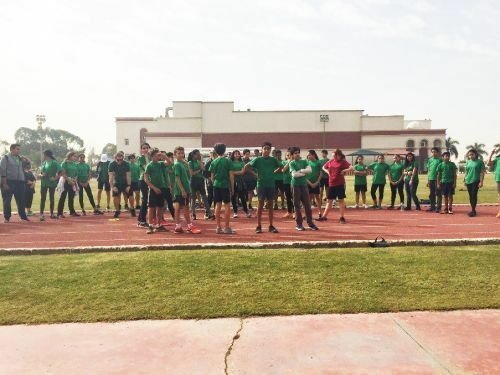 On the 8th February, the Secondary School students participated in the annual Sports Day athletics competition. 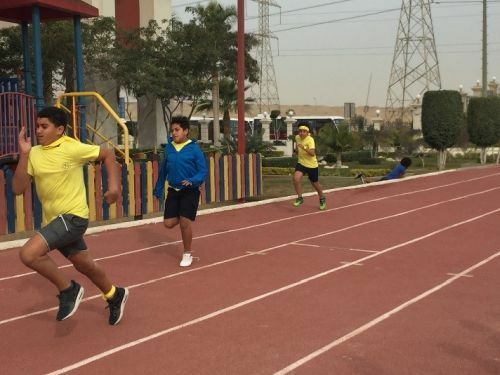 All the Houses had participants for most of the events, including 100m, 200m, 400m, 2 laps, javelin, discus, shot put, high jump, and long jump. 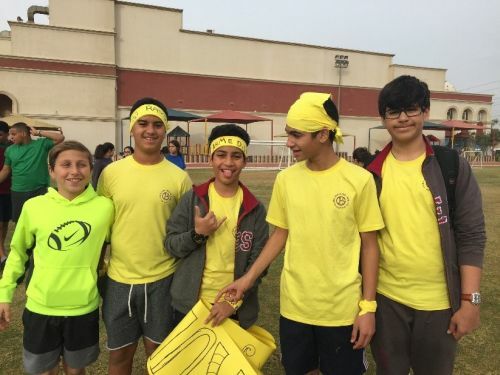 It was impressive to see the students' enthusiasm and participation, and how they cheered on their teams and friends. 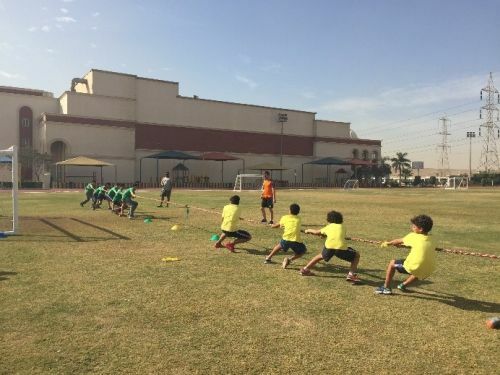 During the afternoon, each house wrote, practiced and performed their House Chants, followed by a tug-of-war competition – even the staff got involved! Thanks to the PE team, the Heads of House and House Captains, and all students for an excellent day. 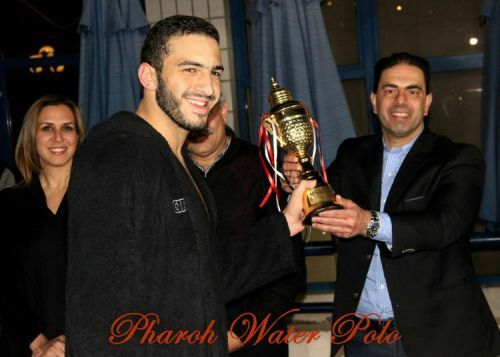 Ahmed Ayman in Year 12 was awarded MVP for the National Waterpolo team after his team, Heliopolis sporting Club won the league. He words incredibly hard and shows extraordinary dedication to his sport- well done Ahmed and don't forget my tickets my for the Toyko Olympics!